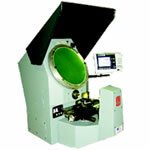 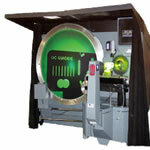 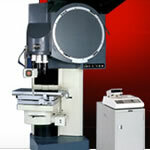 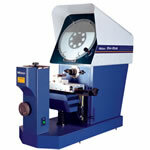 Used for a wide range of dimensional inspection purposes, optical comparators measure the dimensions and geometry of a sample through a projected image. 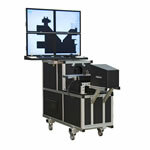 The mechanical system within the operator causes a plane reflector to tilt about an axis, allowing the image to be projected on a scale based on the inner surface of a large glass mirror and the ground it sits upon. 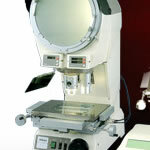 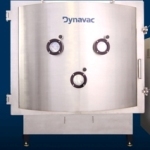 Through the optical magnification delivered by this system, optical comparators provide a high degree of measurement precision in a much larger field of view compared to other imaging devices of its kind. 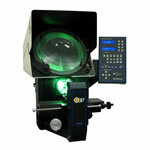 Once submitted, we will try and place you in contact with a suitable Optical Comparators supplier within 48 hours.